One of the downsides of being quite ‘high profile’ in the fight against Ukip is that we get targeted by Ukip and their allies, constantly. But one of the benefits is that we seem to be becoming the go-to people for when Ukip folks want to air their dirty linen in a rather public manner. Because of the Byzantine-like manner in which Ukip is run (cliques, favourites, cronies, jobs for acolytes, etc) there is constant strife and confusion within the Party. People’s job titles do not reflect their roles or duties. Juniors and Assistants seem sometimes to have more authority than their bosses. EU-paid staffers do British Political work, while UK staffers / volunteers help in Europe. It’s a confusing mess. And when individuals are selected for senior positions simply because they are the most subservient to Nigel, regardless of any skills or experience, this generates huge resentment among those who actually do their jobs very well but hold occasionally different policy ideas to Farage. Which results in those passed-over staffers aiming to bring those ‘lackeys’ down to earth. By talking to us. We won’t complain about that. Which brings us to Lisa Duffy and how she used her position to get her boyfriend his job back. Duffy has long since kept very much under the radar. She’s earned her promotions by her loyalty to Nigel in every way. Her job title is “Party Director”, quite a step-up from working in TK Maxx. No-one apart from Farage has asked for her to be promoted or has been consulted about it. Yet she is worryingly high-placed so someone so devoid of skills, experience, qualifications, or work ethic. 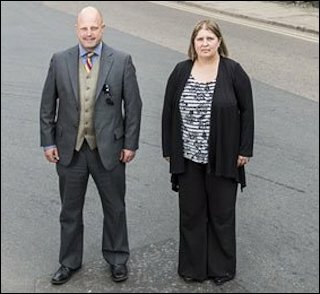 (Her five main qualities were described by a Ukip insider as being ‘incompetence, dishonesty, arrogance, apathy and stupidity.’) As for work ethic, she had a less than 30% attendance record as a Councillor (2014), which is very #Ukip, and we believe this has actually fallen even further recently. She is simply in place through her devotion to Nigel. And she is loyal. So loyal, in fact, that she’ll not tolerate any dissent, even when justified. Thus she was instrumental in the removal of David Abbott, Martin Haslam and Eric Edmondfrom the Party – decent men who wanted UKIP to be open and democratic, who wanted Ukip to deal with internal corruption. Her current role is organising election campaigning. Well, we all know how successful that’s been. At the General Election on 2015, Ukip’s expectation of ’40 seats’ (she suggested ‘between 10 and 15 MPs’) was reduced to the actuality of, er, 1. And since then in local elections and by-election, Ukip’s vote share has more than halved. Clearly she’s doing as good a job as she did when she lead Young Independence, the Ukip Youth Wing, from 2008 onwards. During that time the YI stagnated until she was removed – to be promoted. So why has she popped her head over the parapet now? Because her partner, Peter Reeve, was demoted. Reeve has many roles (and many sources of income, of course) – County Councillor in Cambridgeshire, District Councillor in Huntingdonshire, Town Councillor in Ramsey; lots of opportunities for expenses, there. Add to that his roles as Deputy Chairman of the Local Government Association and UKIP Local Government spokesman, and his work as assistant to a Ukip MEP, he’s a busy person, you’d think. 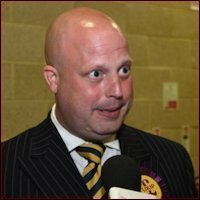 But not really, as his contemporaries on each Council, and within Ukip, are of the opinion that he does’nt do any of his six jobs very well. But when he was demoted from his role as UKIP Local Government spokesman,Duffy was said to be livid. And on March 9th he was mysteriously, without comment, quietly, reinstated. We can give you the reason: We are reliably informed that Duffy complained to Farage on March 11th, who then instructed the Ukip NEC to reinstate him immediately. Such is her reward for her loyalty and merciless crushing of dissent. As an aside, we’ve mentioned before the illegality of Ukip UK personnel being paid from EFDD funds for Political activities solely in the United Kingdom. Reeve and Duffy are both paid from EU funds yet their work is 100% in the UK. Reeve and Duffy, once described as the Ukip ‘Power Couple’. We think this state of affairs won’t last long; both Duffy and Reeve have made too many enemies, and simply been too greedy, for their own good. Only the influence of Farage keeps them in place, and his grip over the Ukip NEC appears to be a little less than it was. As their internal rivals grow, their time is limited. 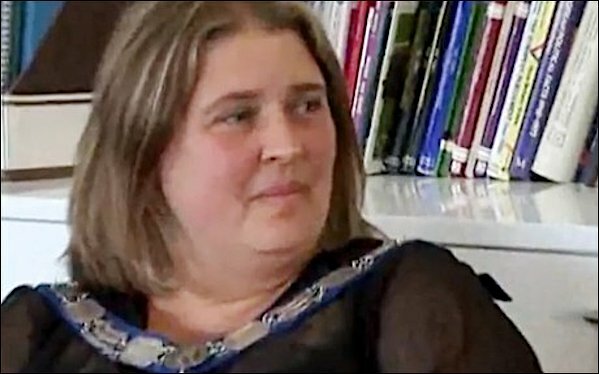 Duffy and Reeve also want to keep their borderline-illegal but very lucrative activities in the family, but both seem to have lost any grip on reality by now: Duffy has stated that she wants her daughter, Jazmine, to be Ukip Party leader one day. Well, in Ukip, anything is possible. Especially if you bow low enough to the right man. This entry was posted on 14/03/2016 at 21:02	and is filed under EU, EUkip, UKIP. Tagged: David Abbott, Eric Edmond, GL-W, Greg Lance-Watkins, Greg_L-W, Lisa Duffy, Martin Haslam, Nigel Farage, Peter Reeve, UKIP corruption. You can follow any responses to this entry through the RSS 2.0 feed. You can leave a response, or trackback from your own site.